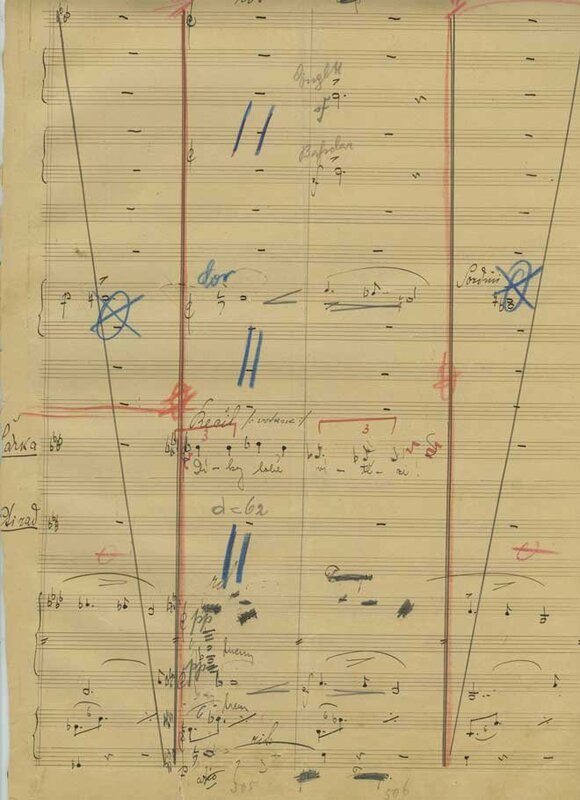 Description	 MS in Czech and Italian on paper, Brno, Czechoslovakia, 1887 and 1918-1919, 12 pp 35x23 cm foliated 32 1/2, 38, 49, 60, 62, ruled with 20 staves, notated in full orchestral score with heavy corrections, mostly deletions of whole bars, autograph. Context	 Sarka is Janacek's (1854-1918) earliest opera, still in late romanticism style of Dvorak and Smetana. 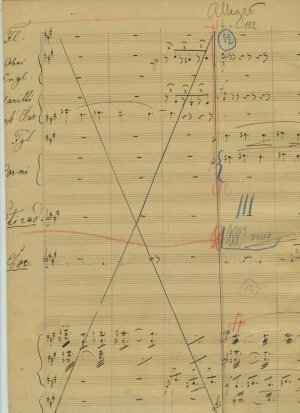 It remained unfinished due to libretto weaknesses until 1918 when the composer reworked it, tightened up the libretto, and shortened it in accordance with the compact style of Janacek's later compositions. 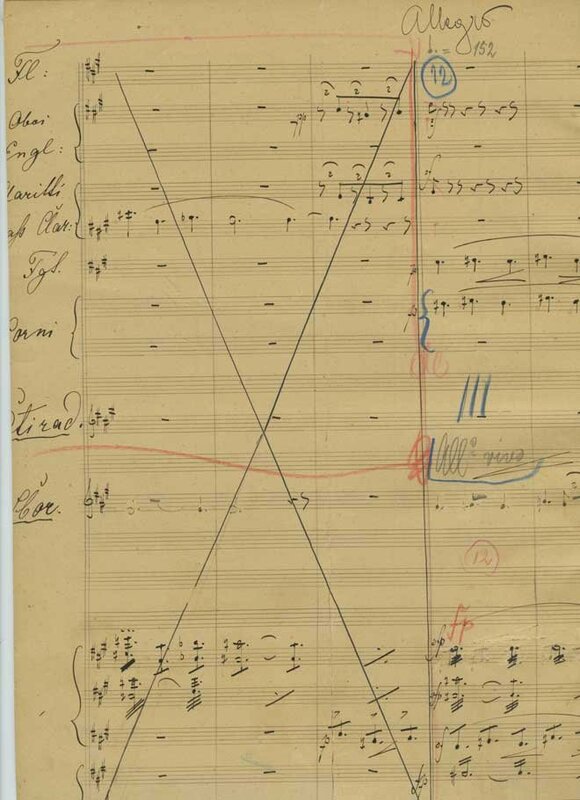 The present 6 ff were removed from the score and possibly substituted with new rewritten ones where the corrections and deletions were included ready for performance. The first performance was 11 November 1925 at Mahen Theatre in Brno. The original version (piano reduction only) was not premiered until 26 November 2010 at the Reduta Studio Theatre Brno. Only about 30% of the music of the original version is retained in performances today. Provenance	 Musikantiquariat Dr. Ulrik Drüner, April 2015. Published	 The work remained unpublished until the year 2000 when it was published in Wien: Gemeinschaftsausgabe, Universal Edition-Brünn, editio Moravia. The cancelled 19 bars in the present MS remain unpublished.